You can access the NMS Match System by selecting the Log In option in the menu	button in the top-right corner of the screen. To log in to the NMS Match System for the first time you will need to enter the login credentials provided to you in October by e-mail by NMS. 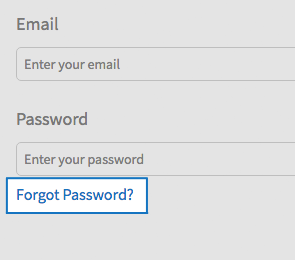 If you do not know your password, you can use the Forgot Password? feature available on the NMS Match System login page. If the System does not recognize your e-mail, please contact NMS. After you log into the NMS Match System, you are presented with a Dashboard. The Dashboard provides summary information about your school and access to the List of Registered Students. Select the View button on the Dashboard, or the option for the List of Registered Students in the menu, to see the full list of students who have registered for the Match and indicated that they have graduated or will graduate from your school. Read more about the List of Registered Students. The Account page allows you to edit your e-mail address, password and security questions. Only one contact e-mail address is allowed for your school. Your initial password is assigned to your Account by NMS and can be changed if desired. Security questions and answers are not set initially in the NMS Match System, although we recommend you add them. Your Profile information includes the school's Display Name, school mailing address, name of contact person, telephone number and fax number. The Display Name is the name of your school that is shown in displays to students and programs. The Profile information can be edited, if necessary. You will not be able to make edits to this information from the Rank Order List Deadline date for each Phase of the Match until the results are released for that Phase of the Match. Update the information, and press the Save button.